The worst possible future is here right now and we need your immediate help. Nanotechnology is disabling and killing human beings. This information is not based on idle conjecture but facts proven by laboratory testing performed by Dr. Hildegarde Staninger at Woodshole/MIT Lab, Lambda Labs, and other accredited labs. The results of these important tests are being ignored. The mainstream press for what ever reason has not informed the public by publishing the results of these scientific tests. This is news all Americans citizens should be aware of. Your help is desperately needed. My name is Jan Smith. I am 58 years old and have been debilitated for the past 10 years with Morgellon’s disease. Other members of my family have this disease as well. I have even had the sad experience of having my pet cat die from this disease. The vet said it was allergies but I knew what the lesions were that covered her face and ears. I have heard from many people who have lost their pets. Even worse, many children are ill from this disease. I have included many photos in this letter. I have been documenting samples of this disease for the past five years and am well versed in the morphology of how this disease is manifesting and progressing in people. I have spent countless hours using a microscope to examine the disturbing signs of Morgellon’s. Whenever possible, I worked hand-in-hand with researchers to provide samples for analysis and to document symptoms. Morgellon’s disease is often misdiagnosed as Delusions of Parasitosis. As ridiculous at this may seem, if you view the photos I have included in this paper and acknowledge there is anything of substance in the photos, you will have doomed yourself to a diagnosis of “folie portage” or shared craziness. You too will be deemed to be delusional by our ‘friends’ in the medical profession. Although this statement is difficult to believe, I must tell you that this is the sole criteria necessary for assassinating your good character. It was as incredulous to me to be termed delusional as you would be at only having seen something in my photos. It is not difficult to see why the people with Morgellon’s disease are angry and feel like they are the victims of discrimination. We are a group of people who are ill and have no healthcare options. I have personal insurance but due to the lack of diagnosis I am not getting any of the care I need. I presented a list of 10 toxicological tests to my HMO Doctor. These tests were recommended by Dr. Hildegarde Staninger, a prominent toxicologist, who has worked extensively with specimens from my body. She wrote a letter to my physician also phoning him to advise him of the tests I needed. He refused to order even one of the recommended tests. I was offered nothing but a reminder that DOP is written in my files. The lesions are self-generating and need no help in forming their fiber-laden silicon ooze. It is a nightmare to have to deal with all the aspects of this disease as well as the lack of understanding by the medical community and the disability system. We are alone at a time when we need help the most. In order to get any aid, people have to allow themselves to be declared mentally ill. We have gone through all of the proper channels and are still being neglected and even ridiculed. A multitude of letters and phone calls have been made to the CDC over the past several years. Cursory form letters were received for our efforts. They stated that people should see their own physicians and beyond that offered no help. It was not until people started writing to their Congressmen that any action was taken at all. I would like to thank the Congress for their efforts in getting the CDC to take this disease more seriously and for requesting CDC to do a study of this disease. Unfortunately there are troubling indications that the CDC is only grudgingly doing this study and there are still overtones that we are likely to be declared delusional at the end of their cursory study, as discussed at a separate exhibit. The medical profession is not eager to learn that they have dropped the ball, possibly committed medical malpractice, and literally ruined the lives and reputations of many people with Morgellon’s disease. It is now time to take this problem back to the Congress and get something done. This is not the treatment expected by American citizens when they are in need of help. In this world of fear of biological terrorist threats and Homeland Security, it makes no sense that thousands of people with a bizarre disease are not even acknowledged, much less thoroughly investigated. You cannot ignore that there is a distinct possibly that a disease of this nature might have been released by terrorists. We do not understand why this disease, affecting thousands, has been consistently ignored. It is also possible that some of the programs being utilized by our own government or nanotechnology industries or military biological research have caused this disease. Who will help us save the future? We now need your help once again. The planned CDC study has been announced and the bid proposal included the specific battery of tests to be performed in this critically needed study of Morgellon’s victims. 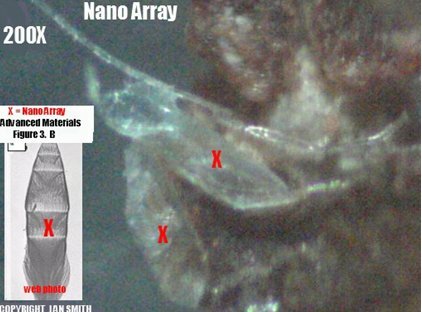 The testing they are planning to give Morgellon’s victims does not include any testing that could find the presence of nanotechnology. That evaluation is echoed by Dr. Staninger with her knowledge of labs tests needed to be performed on Morgellon’s samples. This study at Kaiser Permanente (contracted with by CDC) has every chance of once again overlooking the real cause of this disease. This is a fact. I only hope it has not been done by intentional design to deceive and hide important information from the public. Medical staff and scientists familiar with nanotechnology need to participate with researchers on this study to ensure testing is adequate to determine the presence of these substances, as well as other “unknowns”. This issue needs to be addressed immediately or the study will be useless to the sufferers of this disease and taxpayers will have more wasted spending to complain about. I would personally like to request that Dr. Staninger as well as the other medical people who have previously conducted Morgellon’s research be included in the planning of the toxicological and other testing needed (refer to research section). Each of these professionals should have input into this study. Several doctors, in addition to Dr. Staninger, have published papers and have found other troubling aspects of this disease including agrobacterium tumefaciens, and bioengineered nematode-like forms. Nothing should be ruled out until significant additional testing is performed. There is a great complexity to this disease that seems to be more than mere coincidence. The people of the Morgellon’s community need to be able to trust those who hold their future in their hands. These researchers have all been working pro bono for this community for years when others laughed and ridiculed us. We trust them. They are each true pioneers. We are also not happy that Kaiser Permanente is doing studies solely on its own HMO patients, most of whom have been given the DOP diagnosis from that same facility. What would their incentive be to find that they had misdiagnosed 50 of their patients and could now be open to malpractice/misdiagnosis suits? When I heard this news, I phoned my case manager/nurse at my own HMO about this plan for Morgellon’s testing. She told me I must be mistaken since the study methodology, as contracted, was a completely unethical testing method. She was in the nursing profession for 30 years and had worked in clinical trials for many years of her career. I just wanted a second opinion and I sadly got one that matched my own. She also asked me why they weren’t having clinical trials in the Boston area (or other areas with a significant volume of Morgellon’s patients) since so many people have this disorder in New England. That was something that surprised me. I did not realize that New England had so many cases of Morgellon’s. It is certainly being kept quiet. I have had this disease for ten years. During the first five years of this affliction I was unaware that any others could possibly have this disease. Most people with this disease go to their family physicians and then receive referrals to a dermatologist or other specialist. It is important for everyone to understand the medical process that relegates a person with Morgellon’s disease from a normal productive citizen with a skin rash and other physical symptoms to the life denigrating diagnosis of being a victim of Delusions of Parasitosis (DOP). This diagnosis is tantamount to declaring that victims of Morgellon’s are mentally ill, since it is a form of schizophrenia. In 1937-38 a man named Karl Axel Ekbom published accounts of Delusional Parasitosis. His 70 year old diagnosis is still being used. One of the symptoms or signs that people were delusional, in Ekbom’s opinion, was that they came in to see the doctor with samples of skin and other normal debris and declared that samples were parasites. The term “matchbox sign” was coined to describe the matchboxes that were often used to transport these bits of debris. I would have to admit that I did indeed bring a small plastic container with me to show the Doctor what had come out of my skin. Red, clear, white and blue fibers are quite bizarre. Many other Morgellon’s victims have done the same thing. There is logic to this behavior if you think about it. If a person sees bizarre fibers and growths coming out of their body, they don’t throw them away. The bringing of specimens in any container is a no-win situation as you can surmise. Do these doctors ever look at the samples you bring in? The answer is no. Apparently they believe that would serve to encourage the poor delusional patient in their delusion. With a diagnosis of DOP, your entire life and credibility as a responsible member of society is literally ripped away from you. This life-altering diagnosis filters down to every aspect of a person’s life. A person deemed mentally ill by a person with M.D. written after their name is more damning than being arrested for a crime you didn’t commit. There is no recourse for regaining your good name and ridding yourself of the stigma of this bad diagnosis from your medical records. It travels with you from Doctor to Doctor as does the dismissive attitude from the medical the profession that you have to deal with at every successive medical appointment. I had never received such demeaning and condescending medical treatment by any doctor until my records with my DOP (Delusions of Parasitosis) diagnosis preceded my medical appointments with specialists. I have heard this story from hundreds of other Morgellon’s victims who each believed that no other person had been treated in such a demeaning manner. In fact we all got essentially the same dismissive and condescending treatment. If you are a criminal you are allowed to defend yourself and have a trial. If a doctor makes a wrong diagnosis, you are trapped in their incorrect life-changing diagnosis unless you can prove that you do not have this mental illness. Delusional parasitosis is a form of schizophrenia which is a well known, rare, and severe form of mental illness. The treatment for this disease is psychotropic medication such as Risperdal, Pimozide and Orap. I would like to note that in each drug given to Morgellon’s victims by the medical community there is a common thread. This common thread is an ingredient in all prescribed medications to treat DOP. The name of the original product is piperazine, which is an antihelminthic first introduced as a dewormer for swine. Derivatives of piperazine are used in all of the drugs used to treat people with Morgellon’s Disease, diagnosed as DOP. This drug causes flaccid paralysis to the nervous system of parasitic worms. In consideration that we are deemed to have only delusions of parasites, why are we being given worm medicines? This choice of treatment for Morgellon’s victims is questionable, as well as dangerous. I was given a prescription for Pimozide by a dermatologist after a 30 minute visit. It was not suggested that I see a mental health practitioner of any kind and was never referred to one. I am only one of many who had this condition diagnosed by a dermatologist or General Practitioner and prescribed these harmful drugs as a first choice remedy (which should be a drug of “last choice” due to its dangerous side effects). I have personally never taken any of these drugs. The material coming out of my body is no delusion. The medical community may feel that they are masking the symptoms of this disease with these drugs but the people who have taken these drugs are not being cured of anything and are further having their health endangered. The fibers in our bodies do not die. They grow, self-replicate and proliferate in a Petri dish long after they leave our bodies. They are in our waste water and sewage; i.e., throughout the environment. They will not die but go on to infect other people (and other living things). This is known to happen. In a few years the effect will be exponential. My photos are not a delusion. 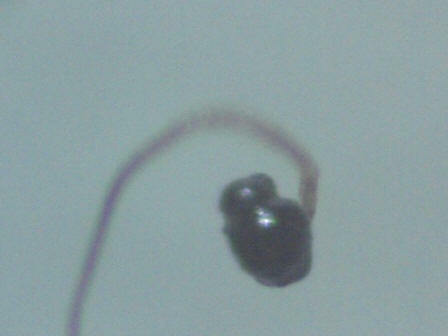 The fibers and other material are small and difficult to see with the naked eye. With only a magnifying glass, the fibers and other artifacts of this disease are quite visible. The medical community is failing us, as this is a new disease and physicians have no training or knowledge of this emerging illness. Magnification equipment is never used to view the skin of Morgellon’s patients. From a distance of 3-10 feet away, we are summarily diagnosed as delusional. 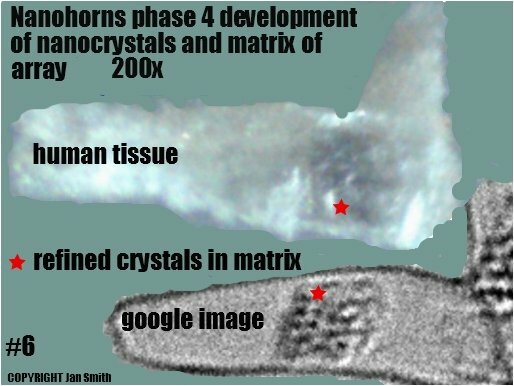 The labs used to do the pathology on biopsies taken from some Morgellon’s sufferers are also devoid of knowing what nanotechnology looks like in human tissue. It has been seen and called textile fibers or extraneous debris. The labs used by most HMO’s are not geared to any kind of research and are merely running specific testing as ordered by a physician. 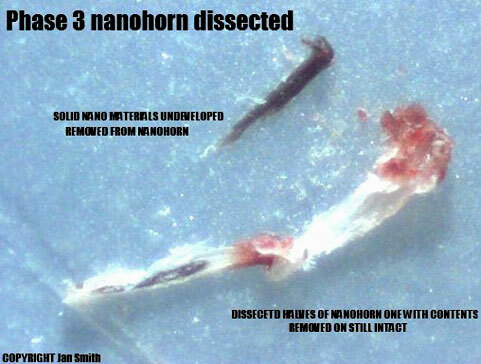 I would like to know where my HMO Doctor could send my specimens and have them identified correctly as nanotechnology. I do not think a lab of this nature is available to us nor do I think my HMO Doctor would dare to take a chance and displease the insurance company by sending anything to a specialty lab without a recognized diagnostic code. I hope you can see what a no-win situation exists for those of us trying to get any medical help. I have had two knee replacements in the past three years. When the first knee was replaced, the incision did not heal properly and grew lesions on the scar that were filled with fibers. A year later the second knee was replaced and this time, Concord Hospital in Concord, New Hampshire made a series of pathology slides for Dr. Hildegarde Staninger who was at that time already researching Morgellon’s disease. She sent my pathology slides to Dr. Rahim Karjoo who made the following findings, which were later made public. The silicon and silicone photos are from my body. I have never had any implants or injections of silicone in my body. This silicon is a result of silicon-based nanotechnology. Morgellon’s - A disease in which individuals have the growth of fibers from their skin that burn at 1,700 degrees F and do not melt. 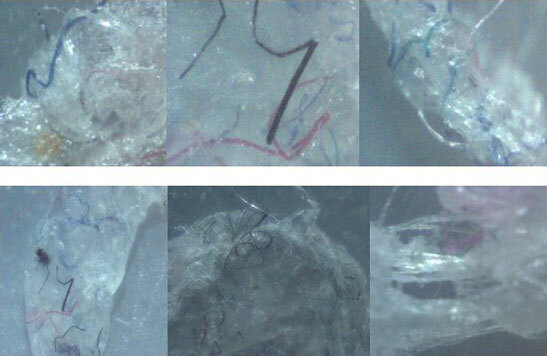 A private study to determine the chemical and biological composition of these fibers has shown that the fibers’ outer casing is made up of high density polyethylene fiber (HDPE). The fiber material is used commonly in the manufacture of fiber optics. There is no history of the individual in that industry or coming into contact with this material. It was further determined that this material is used throughout the bio nanotechnology world as a compound to encapsulate a viral protein envelope, which is composed of a viron (1/150th DNA, RNA, RNAi - mutated RNA) or RNAsi linear or ring plasmids for specific functions. 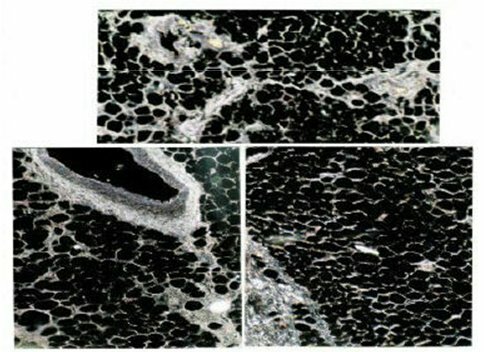 Toxicological pathology identification of tissue biopsies from an individual diagnosed with Morgellon’s revealed the presence of continual silica or glass tubules with the presence of silicone. It must be noted that the core toxicological effects of silicone alone have been demonstrated throughout the breast implant industry and litigation cases. Furthermore, silicone cannot make silica, but silica or silica bicarbonate can make silicone through natural cellular interaction in a biological system. The subject did not have breast implants or any other implant or silicon glue injections. as a comparative study to the silicon and silicone in knee of Jan Smith. an individual (Jan Smith) diagnosed with Osteoarthritis of the right knee. which has been associated with patients having Morgellon’s Disease. Biopsy sample taken from right knee area of patient. of Dr Hildegarde Staninger Industrial Toxicologist and Dr of Integrative Medicine. At this point, I have silicosis which is not from any known source except the presence of silicon nanotechnology in my body. It is oozing out of every pore on my body. 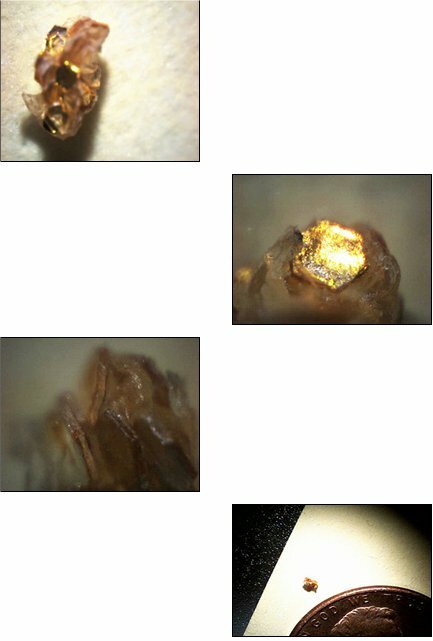 This is what you see on the hair strands and on the Morgellon’s lesions (see the Grey Goo in the photos far below). I do not form scabs made of blood over lesions. I form crusts of silicon. Even worse than that, these crusts are life forms that have movement. Each has a mollusk-like foot and an antenna. My videos of these crusts, composed of hundreds of these tiny life forms all compressed together, can be seen on videos I have put on YouTube.com. These videos may be found by going to the YouTube site and placing my name in the search engine, thegreema1. Dr. Staninger told me the silicon/silicone in my body is suffocating the cells and causing many cells to lose their ability to exchange oxygen. At a minimum, this contributes to my fatigue. In addition to the silicon goo component of this disease there are also several things that have exited my body that I have been able to identify from my research of the nanotechnology industry. 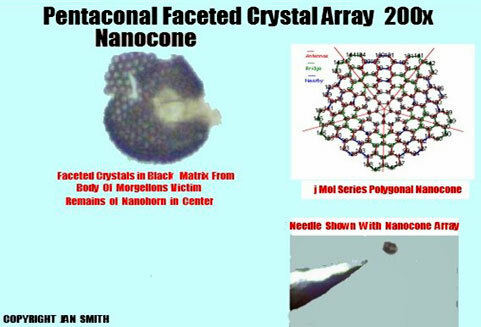 The first nanotechnology element is an array containing crystals. 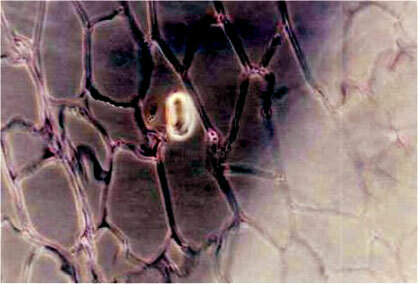 I will show you the mature array as well as stages of growth in the tissue of my body during their growth process. 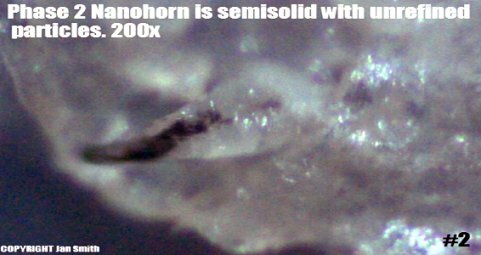 The protrusions on the crusts of silicone are nanopillars and nanohorns. Projection develops beneath skin in the silicone. Then self-assembling chemicals components of nanotechnology develop within of silicon mass. In this case the chemical components begin to assemble themselves into an array with a black matrix surrounding multiple faceted crystals in a circular configuration. I am sure this array has a function but just what that may be is not known. In Phase 4 the array is folded like an umbrella and emerges as a flat array. This unusual piece of tissue has been identified as another type of array. It is described as a nano-communications array. It was found in a lesion in my chest. This form is clearly identified in the small inserted photo shown inside. The research page for this and the following photo will be displayed in this paper as well. It is curious that the scientists who originated this “Advanced Materials” page have two of their creations in my body. It would be interesting to see who has been authorized to utilize these nano designs. Download "Silica Nanotubes and Nanofiber Arrays"
Once again, what is this array doing in my body, how did it get there, and who is it communicating with? It appears that there is a specific purpose intended in the variety of nano devices I am finding. This is the second nano device from the “Advanced Materials” company. This is a photo of tissue that came from my cheek. The silicon projections kept on maturing after it was mailed to Dr Rahim Karjoo. He took this photo using a sophisticated pathology microscope with 3 dimensional capabilities. 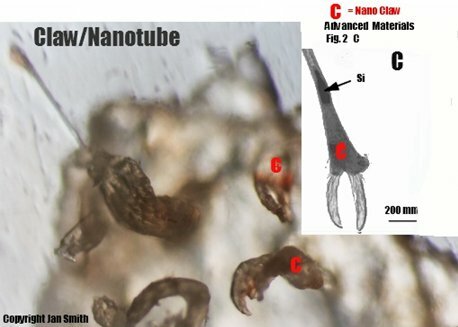 The bizarre claw formations are another version of a nanotube. The dark spots on the specimens above the claws match the model inserts as a process of agglomeration of particles that cause claw the structure to form. In the March of 2007 I had emergency surgery on 2 ruptured discs in my back. I had not experienced any lesions on my back during the course of this disease but I wondered if Morgellon’s disease had played any part in the sudden problem with my formerly healthy back. It took very little time to understand that this disease is throughout my entire body from head to toe. I had an incision that was 7 inches long that had been secured with staples after the surgery. During my prolonged recuperation period at the Concord Hospital and then at a rehab hospital, I experienced a massive drainage of silicon ooze laced with more fibers than I had ever seen. I had the staff sign the dressings from my back as they were removed and sent them to Dr Staninger. All photos in this set are Grey Goo and nanofibers. Here are a few more photos from my back surgery. 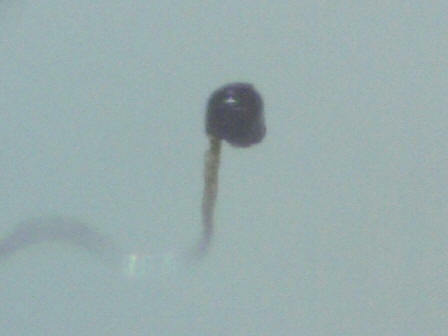 Staple from back with fibers + goo Small scab filled with fibers. Goo and back fibers formed a cube Grey goo and multicolor nanotubes. Every day is a bad hair day with Morgellon’s Disease. The following photos are from a person who wishes to remain anonymous for now. They are very fearful of what is happening to them. Multiple objects of the same kind have emerged from their body. The nanos that are being found have an ominous quality about them. When touched with a pin the object began to glow. The center is a hexagonal crystal and the dark jagged plate is reminiscent of something out of an evil tale. The pouch with the “V” at the bottom is highly fluorescent and multicolored. The back of this complex piece of technology has the glyph of a Serpent and writing on it. These are not made by Mother Nature. It is terrifying to know they are in your body. Here are more views of the Serpentine Nano Machines. Thank you very much for allowing me to inform you about Morgellon’s disease. It is not so difficult to believe that people are genuinely ill once you understand the reasons behind the bizarre symptoms and the medical profession’s misunderstanding and lack of experience in diagnosing a completely novel disease. If the future includes nanotechnology as part of our daily lives, then it is absolutely necessary to have safeguards and prolonged testing of all products which come into contact with a genetically diverse public. Morgellon’s Disease is the eventuality that was bound to happen with the rapid growth and unproven safety aspects of a new technology. When such a disease did appear, how would it have been expected to manifest itself in humans? I think we all know the answer to that now. You have all the facts as I know them with the photos and research to back up the explanation. I can only hope that further research will now become vital to those who know of our plight. This disease will keep growing as long as this technology runs amok. While scientists are getting millions of dollars to study all manner of trivial matters, we go without help. We have lost home and families. We have lost income and careers as well as the ability to live normal lives. In spite of all that has happened to us, we are optimistic and holding fast. We have not yet lost our hope for our families and those not yet infected. I truly hope that in this world of billion dollar industries, that a group of American Citizens who have been greatly harmed by technology will not go unheard or dropped between the cracks in favor of keeping the status quo for big business. There are times of late when it seems that being an American and having rights has become more of an urban legend than a reality. I have been talking with many people for the past ten years about this disease happening to Americans and other peoples throughout the world. We sincerely need your help and compassion now to end the torturous neglect that we have suffered through. The safety and welfare of this planet, its environment, and all life forms are at risk. This video is take at a magnification of 10 x. These fibers would not be visible to the naked eye. 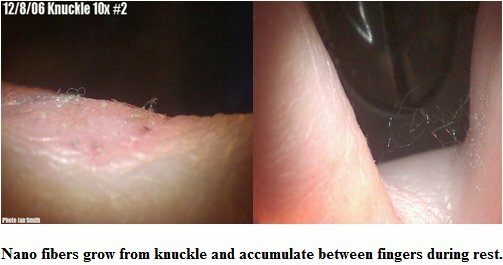 The fibers are growing out of a lesion coated with a crust that has been on my knuckle for over 3 months. The movements of these strands appears to be an unnatural kind of movement. These strands represent what I call the 'motile strands'. 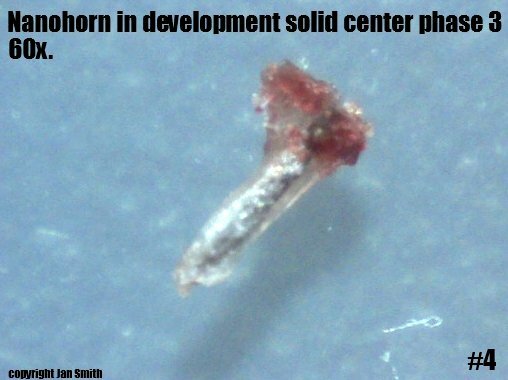 The movements are jerky and not what I would expect to see from a natural nematode. I have performed burn tests on these strands with a butane flame. The results of the burn tests yield a melted ball of plastic-like material as shown below in both the video and pictures. Plaques on a concave slide with 2 drops normal saline added. 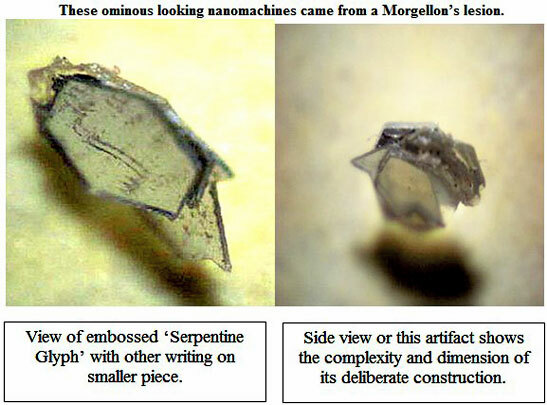 Strange plaques made of numerous "nano life-like forms" cover Morgellons lesions instead of normal scabs. These plaques have been found to be an aggregation of tiny independent/interdependent organisms. 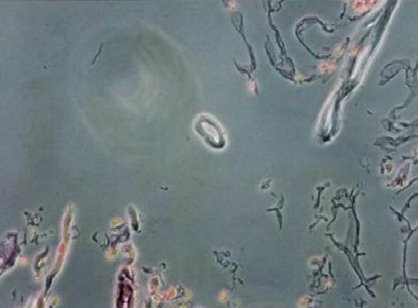 I would call it a form of quorum sensing and it appears there is a connection amongst the particles. When these life forms are together they can act as one unit but when parts of the quorum are damaged they will separate and move away from each other. If individual plaques are separated by dissection and the pieces are still vital they will attempt to join together again. I believe there are two joined organisms on the right and one organism on the left that was once joined to this piece which is now in distress. The vital plaques are attempting to reconnect to the lone plaque in this video. The first part of the video was lit from beneath. The red gel mass in the organism on the right shows movement in the gel. The mollusk-like foot that each of these organisms have is seen in this video. Imagine having that kind of an organism on a lesion on your body. Do you wonder why people pick these thing off of their body? They are foreign creatures with movement and energy that are parasitizing us. NIH - Morgellons officially recognized as a disease? 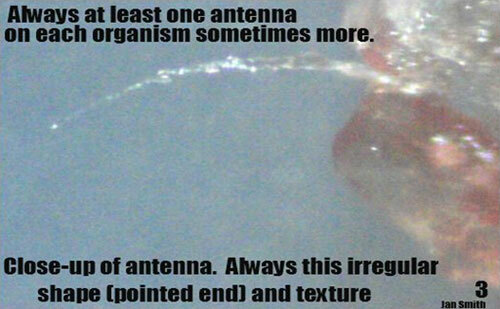 Morgellons is caused by either duplication or trisomy of the chromosome 1q42 11 q42 12. However when reading the articles dating back more than 10 years at pubmed.gov it appears that these articles do not describe the symptoms known from Morgellons accurately. 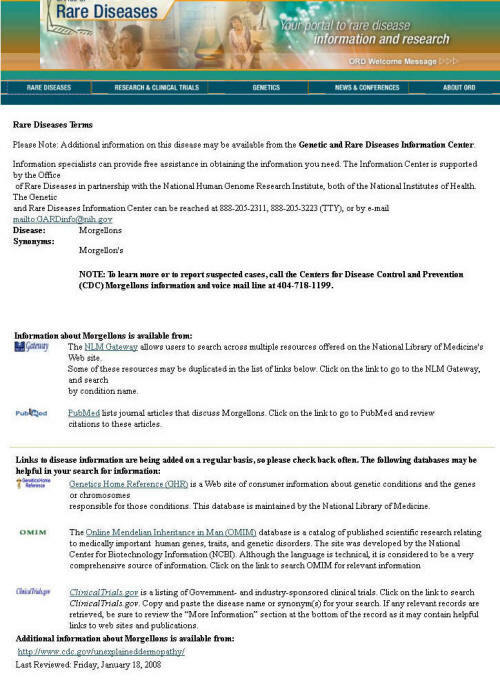 "To learn more or to report suspected cases, call the Centers for Disease Control and Prevention (CDC) Morgellons information and voice mail line at 404-718-1199." And the page itself is reported as having been last modified on "Wednesday, July 19, 2006". We are awaiting a statement from the NIH and will report on it as soon as we receive a reply. 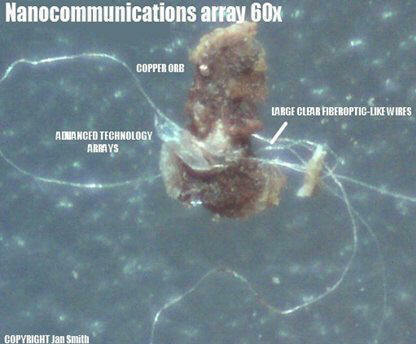 This webpage was found by a Morgellons sufferer and posted to several Morgellons related websites to inform the public. 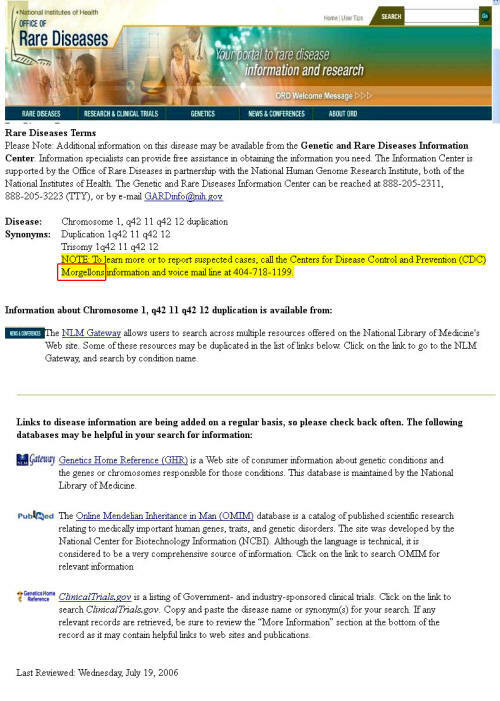 Upon the page being discovered and posted the CDC and/or the NIH immediately removed all copies of this page. Cached copies of the page also disappeared within days. To date there has been no official denial of the information contained on the webpage. Due to the absence of an official press release the public is left to ponder the meaning of the page. 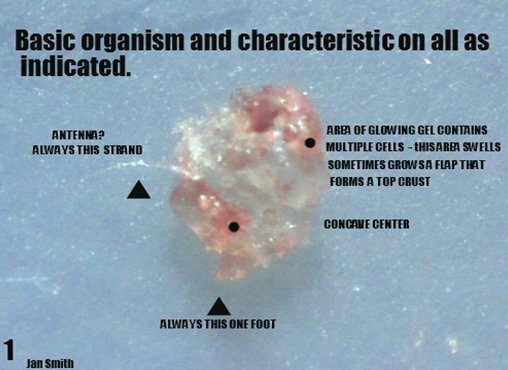 A rather curious set of events has recently unearthed the fact that several Morgellons sufferers have verified 1Q42 genetic defects. Please Note: Remember that this above image is only a photo of the former page. It was removed from the internet, cached copies and all by the end of July, 2007. A new page without the Morgellons reference has taken it's place.